to plan a fishing trip for early in the season. 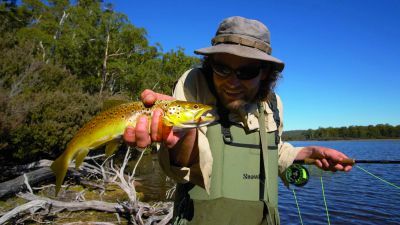 Tasmania has so much to offer the trout angler, from tiny mountain streams and lowland rivers, to lakes that are big enough to fish from a boat, along with hundreds of small lakes and tarns that will give you another reason to go bush walking. 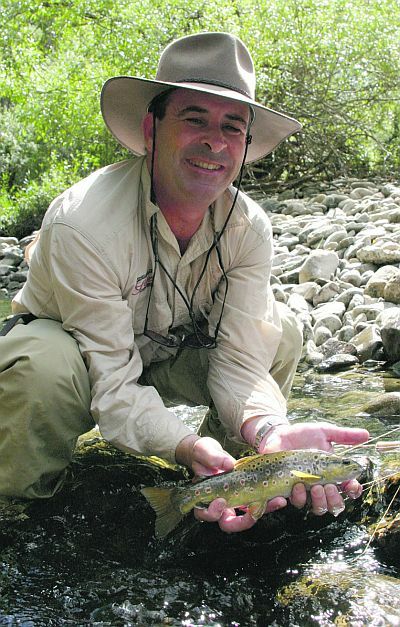 Mike Stevens gives some tips about fishing small streams for little fish. I don’t particularly chase big fish. I like to catch them of course, but often I would rather catch ten small trout in a stream, rather than one big trout in a lake. Recently I had some Victorian friends over and they also love the small northern streams. Fishing these predominately with small dry flies is such fun I can barely even begin to describe it. Most headwater streams have enough water and the eager little trout will come up and inspect your offerings. The difficulty (or easiness) of a fishery is relative and changing, a waterway may yield good results one day but for reasons unknown, completely shut down the next. There are however, a number of waters that consistently give up their fishy inhabitants more readily. One thing these waters have in common is a huge population of trout. Most trout fishers are aware of the fact that the bigger the fish population in any given water, the smaller the individual fish size. This is due to the finite amount of trout tucker available in any given waterway. Unfortunately, unless larger fish have been stocked into a lake these easier waters usually hold fish averaging closer to one pound than two. Having said that, big fish can turn up anywhere at any time. Spring is nearly over and as we head into what looks like being another long hot summer. 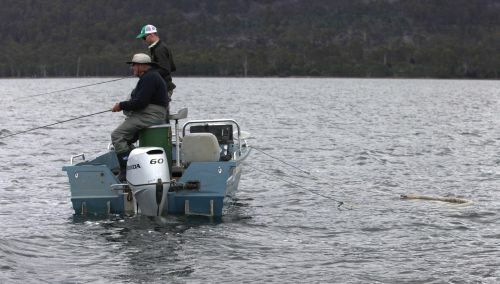 I believe this season holds an anticipation amongst Tasmanian anglers not seen for quite a while thanks in large to renewed water levels in many of our impoundments due to better than average Autumn and early Spring rainfall. 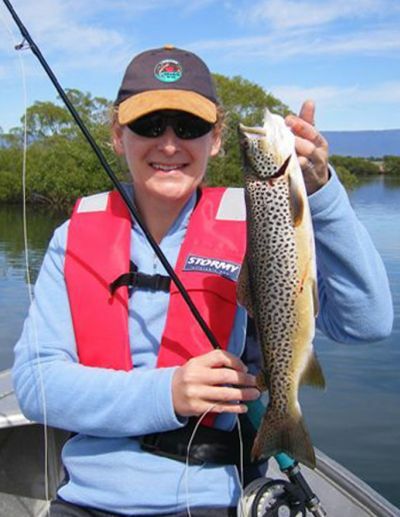 When I first moved into Launceston to study at the Australia Maritime College, I found that the easiest way to sneak out for a quick fish was to chase trout. 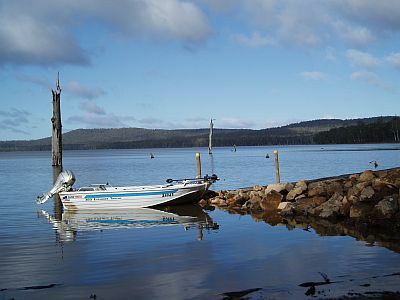 Consequently I researched everything I could find on trout, in Tasmania and round Australia. Baits, lures, retrieves, locations and typical dwellings, tackle and gear - the works. After extensive investigation I set-up with a light rod and spinning reel and your run-of-the-mill bibbed minnows and cobras. 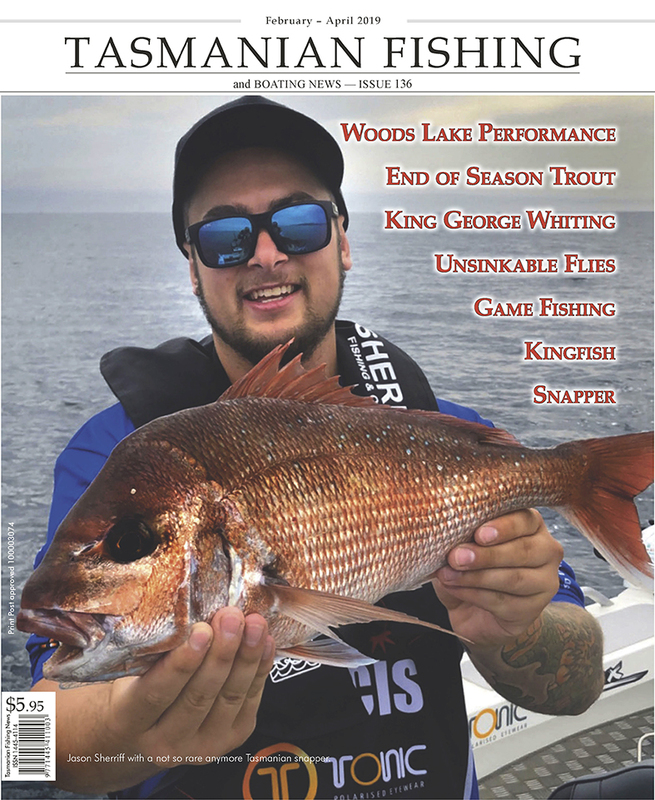 Once you have caught your fish it is most important that you handle and care for it correctly to ensure that it does not deteriorate to the point it is wasted. Deterioration occurs both through chemical and bacterial processes. Depending on the time taken and subsequent treatment of catch this will affect the taste and texture of meat. All wanted fish should be killed humanely and quickly. There are probably more trout caught nymphing than with any other method during the trout season. But what exactly is meant by nymphing? What are the patterns associated with this method, and what are the best ways to fish them? In truth nymphing has as many different variations as do dry fly fishing, loch style, or just about any other style of fly fishing you would care to mention. If we were to closely examine how each individual angler goes about "nymphing", we would find many different variations on the theme. The following is a basic insight into what that theme involves.